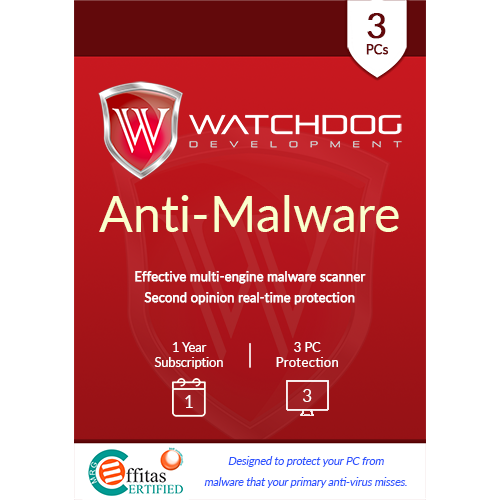 Very Cheap Software is proud to offer Watchdog Anti-Malware (1 Year / 3 PC) [Download] at a very affordable price. We only select the best software available for download. We focus mainly on very cheap antivirus software to help you protect your important information and privacy from criminals. Check with us every year for very big savings. It's simply not practical to install dozens of different anti-virus programs on your computer because they'll conflict with each other, but even it you could it would be prohibitively expensive. 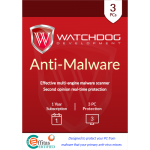 We've come up with a way to provide you with several anti-virus scanners to catch malware that your primary anti-virus program misses all at a fraction of the price. And it is point-and-click easy to use. Step 1. First you simply start a scan. Step 2. Anti-Malware analyzes your files and when our software finds a suspicious file, it passes the fingerprint to our Cloud Scanning Platform where many different anti-virus engines perform checks. 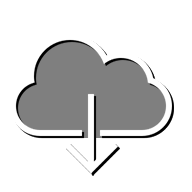 Milliseconds later, our Cloud Scanning Platform marks the file as safe or malicious, or else asks Anti-Malware to upload it for further examination. Step 3. Anti-Malware rapidly sets about removing any confirmed malicious software.